Mold formation is the last thing that you are expecting at your place; nevertheless, it turns out to be one of the most common uninvited guests that come with all its glory making the whole place look unpleasant. The mold not only looks unsightly, but it also ends up damaging your property and health to a great extent. 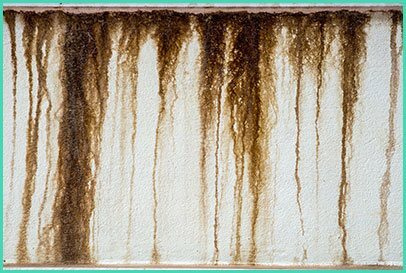 Most of the times, mold isn’t something that’s visible out in the open, however, many only notice it when the problem intensifies. Mold can also be present in hidden places, and if you’re wondering why that should be fixed when it’s not visible, then here is what you need to know. Mold regardless of being visible or not, is dangerous to the property and its contents. Want the mold to be gone? As a resident of the West Palm Beach, FL area, call West Palm Beach Restoration Company on 561-404-8238 now! Surface testing: Taking samples from the surface, we run it through a test in a laboratory to find the amount of mold spores deposited. Air testing: Air sampling done in your property will help our experts figure out the concentration of mold spores present in the space. Also, it is observed under a microscope. Bulk testing: Another way to check for it is by collecting pieces of different materials and running them through lab tests and finding the mold concentration. Once we confirm the presence of mold, using infra-red sensors, fiber optic cameras and moisture detectors, we would look for the hidden mold and go on to remediate it. 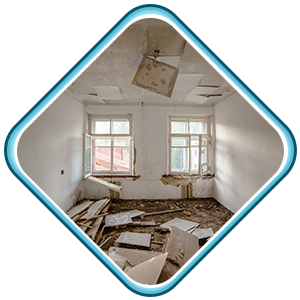 Disposing materials: Once the mold attacks the surface, some materials like the wallpaper or carpets cannot be restored. If kept, it could only lead to more trouble. Hence, these are discarded. Air purification: The air is left with an odor once mold takes its form. So a very simple cleanup won’t fix it. Using air filter and blowers, the stench and the toxic materials in the air is purified. Surface cleaning: We use EPA-approved chemicals to clean up the place where mold is growing. These agents can thoroughly clear it all up and prevent a recurrence. Once we get rid of the mold as a whole, the residue and destruction left behind must be addressed. Our job is to restore everything to pre-loss condition, and for that we need to take proactive measures. Restoration: Maybe the surface would need repainting, and a few items within your property may need restoration; we handle it! Reconstruction: Perhaps the mold was formed due to lack of ventilation, and thus the property would need a few changes in its layout. Prevention: It is extremely important to cut the sources of moisture, and for that we need to add mold-resistant agents and fungicide blended paints to coat the surface. Want to get rid of the mold formation in your place? Are you a resident of West Palm Beach, FL area? If so, call us on 561-404-8238!